What children and teens post online – and how parents should monitor their kids’ internet habits – have been of major concern since the early days of the World Wide Web. And while issues like cyberbullying and sexting are still important to address, teens aren’t the only ones who sometimes make questionable decisions online. Researchers are now turning their attention toward parents, and ways that some moms’ and dads’ online posts about their children may inadvertently cause harm. Even something as innocent as sharing school photos on social media could have consequences you might not have considered. 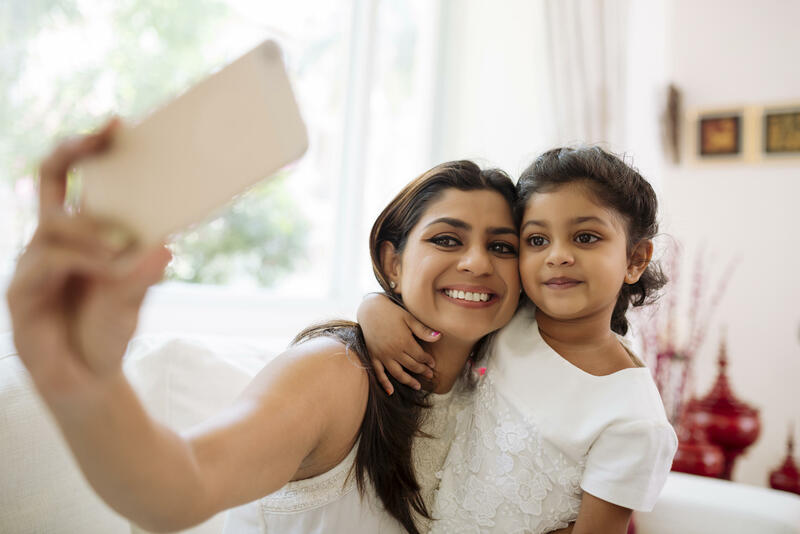 In a study being presented today at a national conference of the American Academy of Pediatrics, pediatrician Dr. Bahareh Keith and law professor Stacey Steinberg look at the potential ramifications of what parents are posting about their kids online. And they offer some guidance for how parents can share safely, and with their kids’ well-being in mind. After a thorough review of the medical and legal research, they found two main areas of concern when it comes to parents posting about their kids on social media. The first issue is safety. “Our guidelines include things to be cognizant of, such as using caution before sharing your child’s location or personal details to protect against identity theft and child predators, and also things that you can do in terms of protection and prevention,” Keith said. It could be tempting information for a neighborhood bully, a predator, or a scammer seeking easy targets for identity theft. The researchers suggest parents should also familiarize themselves with the privacy policies of the sites where they share information, and set up a notification to alert them if their child’s name appears in a Google search result. Another area of concern is the potential for photos that may initially seem innocent getting into the wrong hands. “[In our review] we unfortunately saw some reports out there of children’s photos being shared on pornographic websites,” Keith said. The researchers recommend never posting pictures that show children in any state of undress – those adorable splashing-in-the-bathtub photos are precious parental memories, but they shouldn’t go online. Aside from safety, another area of concern is the child’s right to privacy. And it’s not just about photos. For example, while sharing information about a child’s behavioral struggles might be helpful to parents, it’s something the child will likely not want to be public when they get older. She and Steinberg suggest parents share anonymously if they choose to post about their children’s behavioral issues. Finally, as most children’s first digital footprints are now created by their parents, the researchers caution that parents should stop and consider their children’s privacy and how their posts might affect them in the long run. This is something Kate Carlson, mother of a 16-month-old daughter, considers quite a bit. The researchers recommend refraining from posting anything on social media that might have long-term psychological or emotional effects on children. A few extreme examples have made headlines in recent years. For example, in 2012 a video of a man shooting holes in his teenage daughter’s laptop after she posted disrespectful comments about her parents on Facebook went viral. Other personal posts can be down right embarrassing for children as they get older. Just last month, an Australian newspaper reported that a teen is suing her parents for posting embarrassing photos of her early childhood – including potty training photos. “Some of the consequences [of embarrassing posts] are very real and can lead to bullying and kids being made fun of, and as they grow older can come back to haunt them in different ways,” Keith said. Finally, once children are old enough, she recommends giving them “veto power” before images or posts are shared about them.